"A lot of the issues in Indigenous health actually aren't unique, they are just magnified," Lafontaine told the room, pointing to things like trust between patients and doctors, communication and compassion fatigue. "If you look at Indigenous health they are magnified, they are worse than they are in the mainstream system." Lafontaine, who lives in Edmonton, said there have been a lot of improvements since the Truth and Reconciliation Commission where survivors shared their experiences in residential schools. 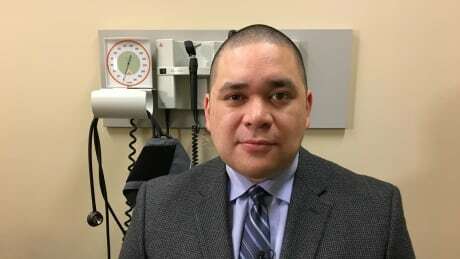 He said doctors now recognize that many Indigenous patients have previous trauma that shouldn't be dismissed. Lafontaine said the experience shows that it doesn't matter how successful you are out in the world, "when I put on that hospital gown I'm just another Indian." The summit was held not far from the hospital where an Indigenous man, Brian Sinclair, died in 2008. An inquest into the 45-year-old man's death heard how he died of a treatable bladder infection after sitting in a wheelchair for 34 hours. Bablitz recounted a story from medical school about a friend's mother, who was Indigenous, had liver failure. The medication the mother was given caused incontinence. "My friend said (to a nurse), 'Can you please help me change my mom,' and the nurse said to my friend, 'She did this to herself, she can sit in it for awhile,"' Bablitz said. "This was an eye-opening experience that shed light on where we need to go and what we need to do." "Treaty Peoples aren't necessarily 'patients plus,' despite people's perceptions. They are usually 'patients minus.' What we are really fighting for is 'patients equal,"' said Lafontaine in an interview after the panel. "We have to reach out to each other and identify how we can support each other and then we all have to come forward with something we share." "I think the days of declaring crisis, we have to move past that. That can't be the end of it. That's just the beginning."